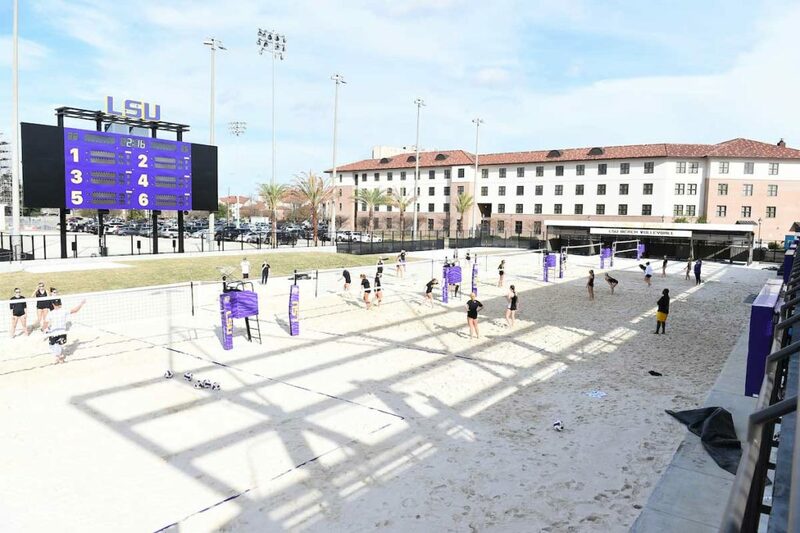 Louisiana State University has unveiled its brand-new beach volleyball stadium at its campus, which features six new competition courts and state-of-the-art facilities and technology. Following a renovation of LSU’s previous tennis facility, the Tigers will no longer play home games at Mango’s Beach Club in Baton Rouge but will now play its beach volleyball matches on campus, on courts filed with 24in deep sand – some of the deepest in the country. The courts feature state-of-the-art sand permeability subsurface drainage, and sand quality with a smooth sand to concrete transition. They feature an underground irrigation and wetting system that cools the sand to facilitate play during hot weather. 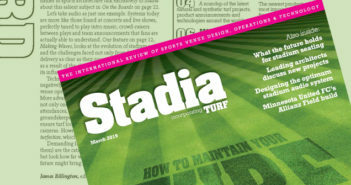 There is capacity for 450 seated spectators, while also offering space on surrounding grass for the newest NCAA sanctioned sport. Raising its technology game, the new facility features new scoreboards on both sides of the court, a new sound system, and energy efficient LED lighting, alongside a customized home locker room for the Tigers, a state-of-the-art training room for immediate medical attention and a team lounge with smart TVs that can be used for film study and entertainment purposes. 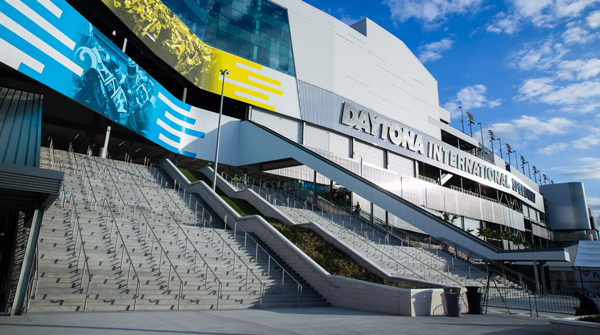 Visiting teams will benefit from eight covered team pavilions, a visitors’ locker room and shower facilities.